A few days ago, this storm was forecast to bring gusts of 70 mph, and be one of the five worst storms in local history. 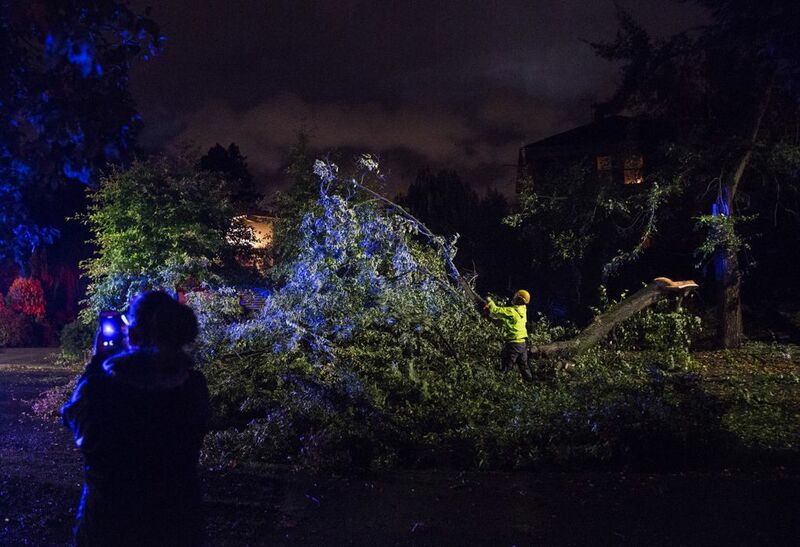 Saturday night, many residents took to Twitter to blame meteorologists for being wrong. 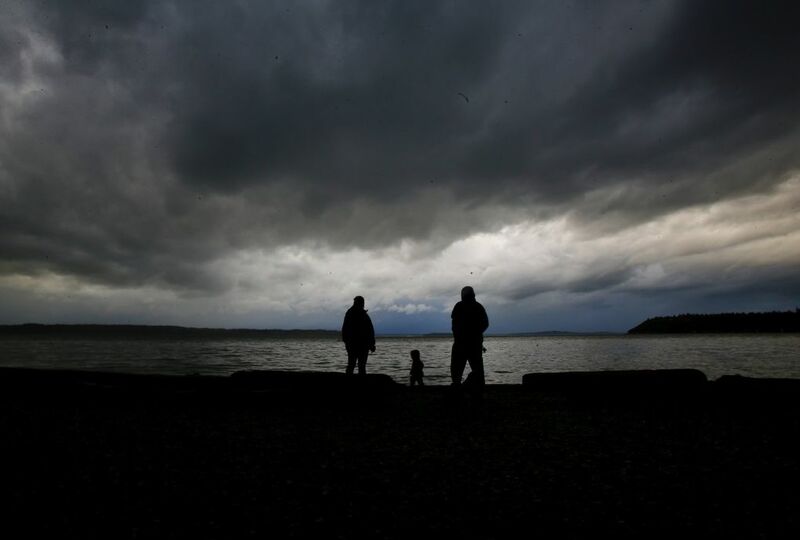 Despite sophisticated computer models and experienced meteorologists, the warnings that the Seattle area was going to get whacked by a storm of potentially historic proportions Saturday night turned out to be wild only in their inaccuracy. 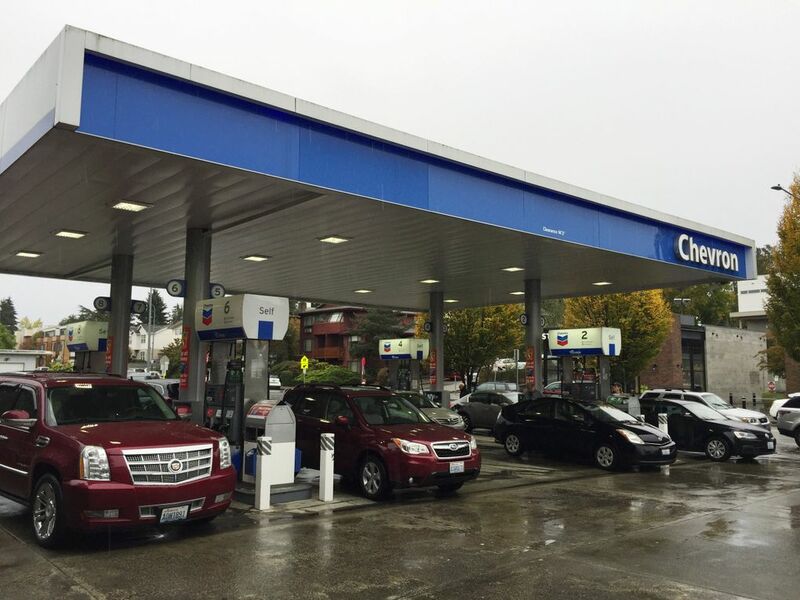 While winds of 54 mph struck the San Juan Islands and gusted as high as 88 mph at Crystal Mountain in the Cascades, for the most part the storm turned out to be another blustery fall night. 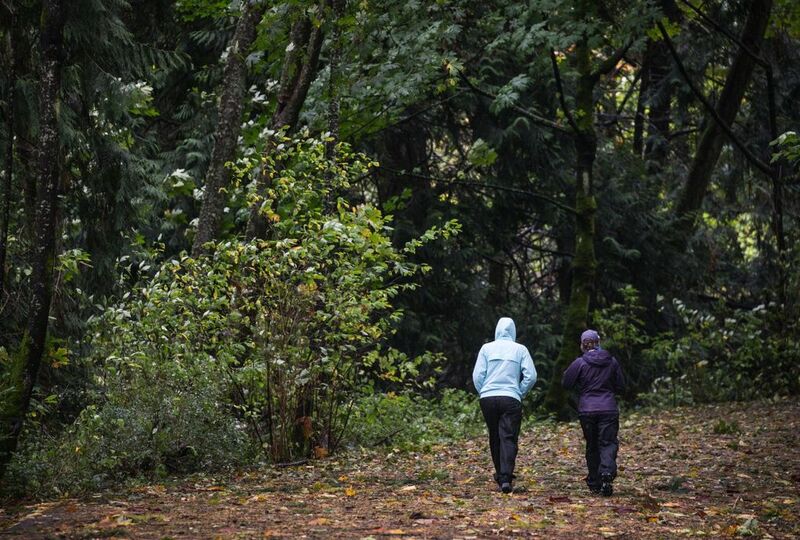 Weather trackers were confronted Saturday morning with three different possible paths for the storm, said Jay Neher, meteorologist for the National Weather Service’s Seattle office on Sunday. 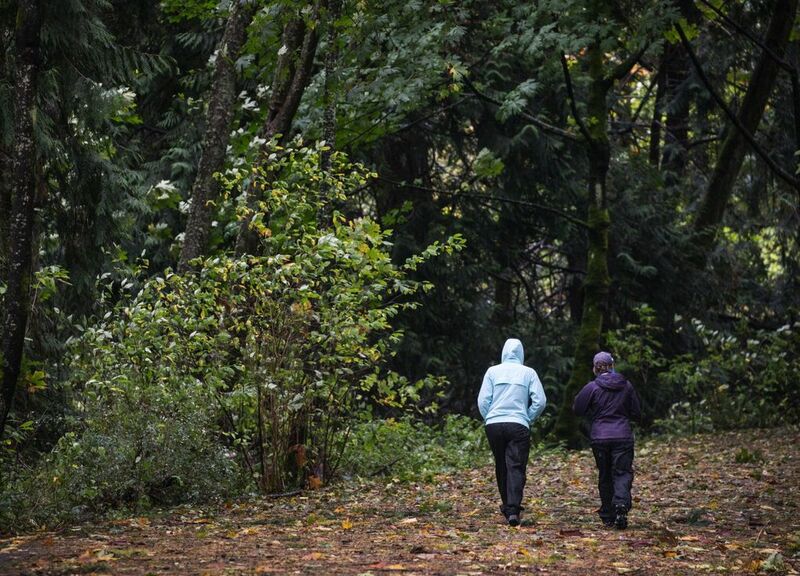 The actual path was even further west than predicted, sparing most of the Puget Sound region. 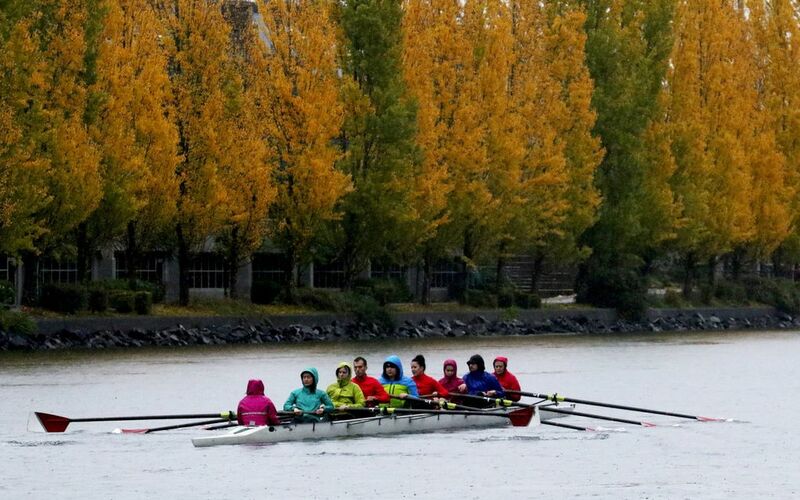 Instead, the storm, the remnants of typhoon Songda, struck Vancouver Island and mainland British Columbia, sparing inland Puget Sound. “Yes, our forecast did not turn out as predicted. We are not pleased about it either,” the weather service’s office posted on Facebook Sunday morning. 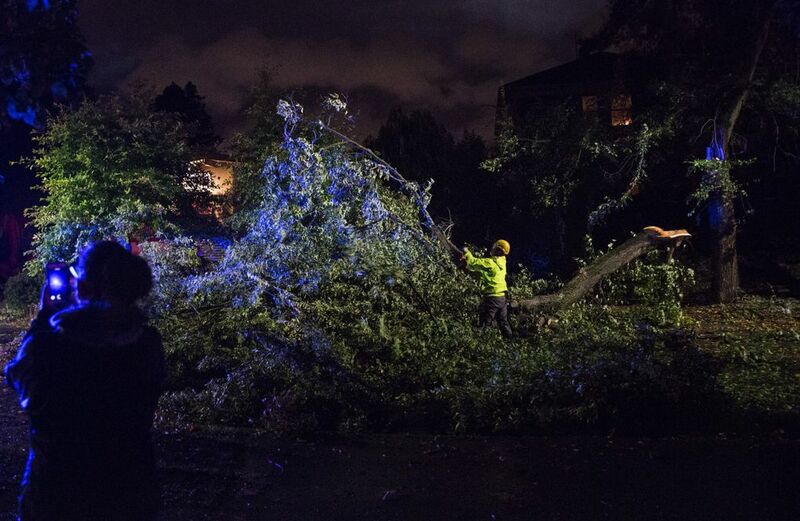 No injuries were reported Saturday, but a 4-year-old boy remained in intensive care after being hit by a tree branch in Seattle on Friday. 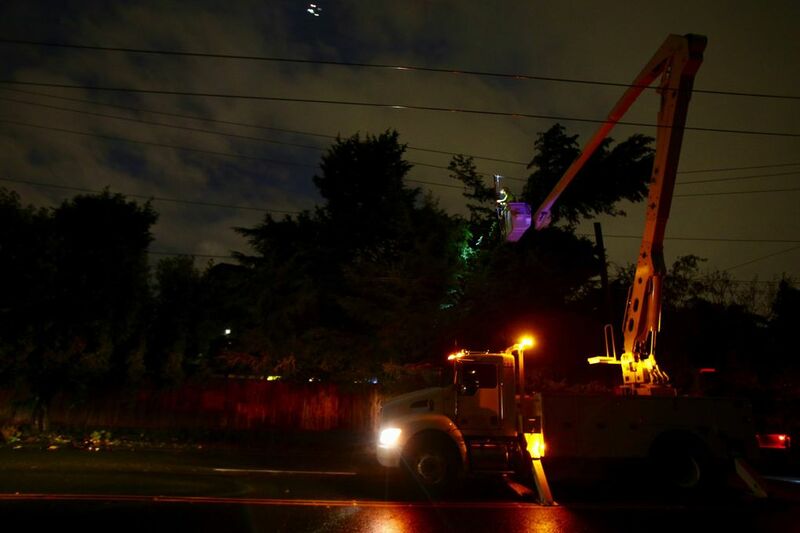 Tens of thousands of people lost power Saturday before the National Weather Service canceled its high wind warning at 8 p.m. for Everett and points south. 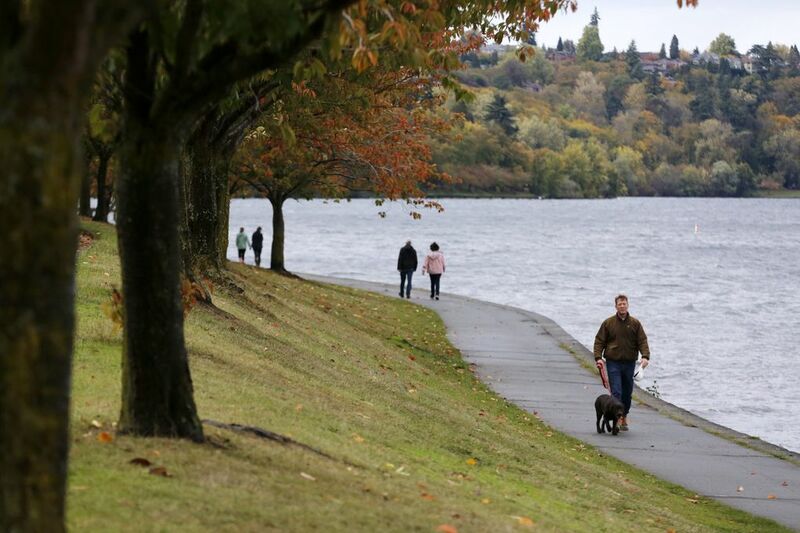 Blustery conditions and showers are expected to linger Sunday. 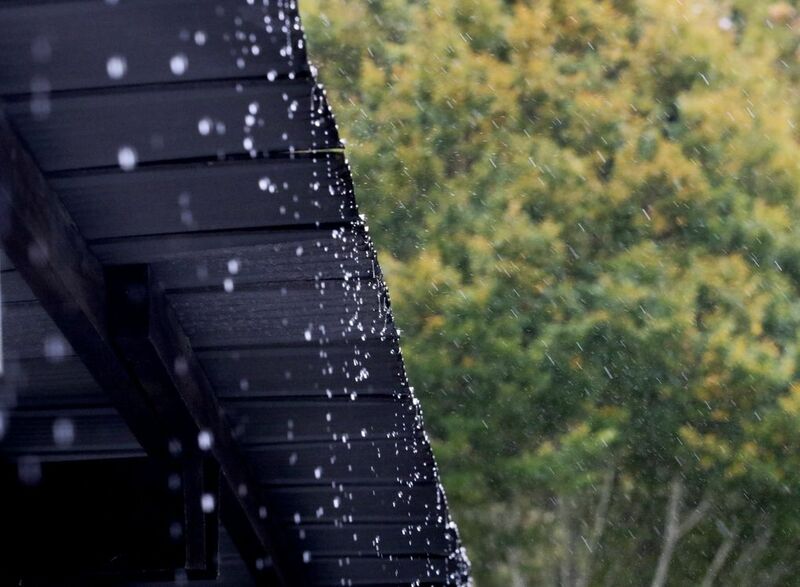 A high of 59 degrees and a 70 percent chance of rainare forecast, with one-tenth to one-quarter inch expected to fall. That would further soak the soil and create slide risks. 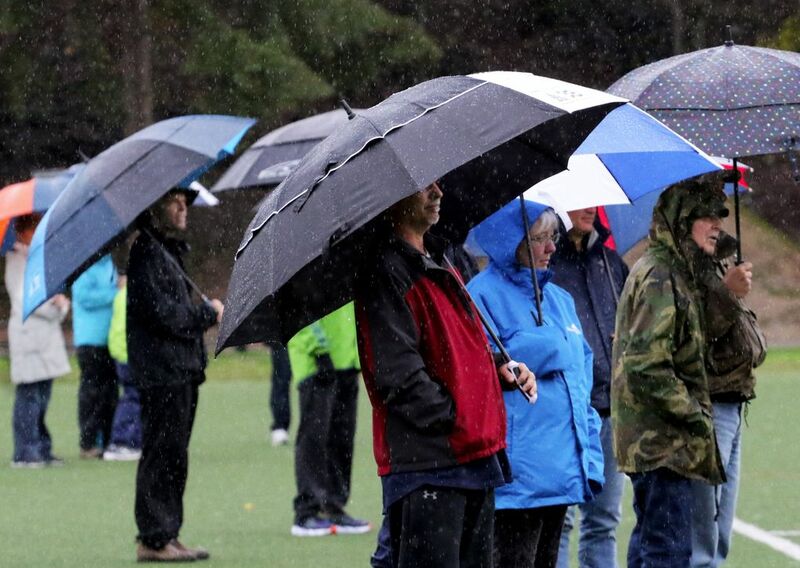 Seahawks fans should bring rain gear to CenturyLink Field, said Mike McFarland, a weather service meteorologist. Sounder trains to the game were scheduled as normal, but Sound Transit urged fans to check for alerts Sunday morning, in case of last-minute cancellations. 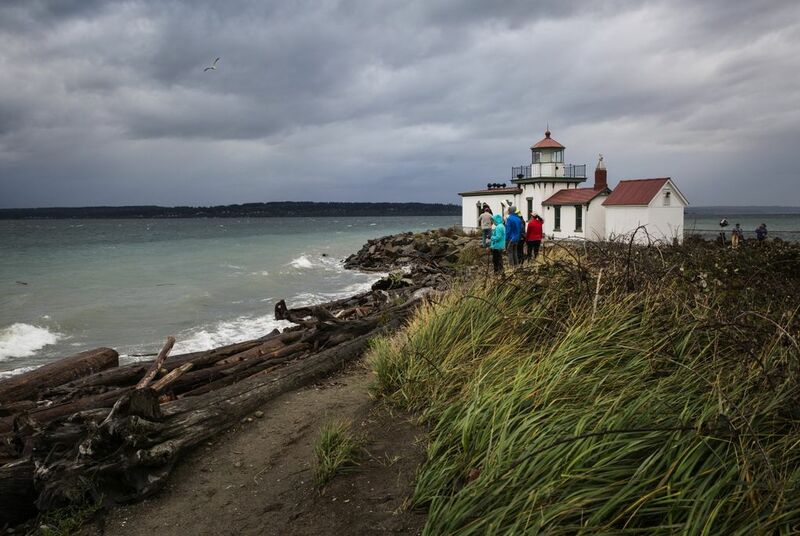 Landslides often disrupt Sounder’s north line, which travels below wet cliffs at Mukilteo. A few days ago, this storm was forecast to bring gusts of 70 mph, and be one of the five worst storms in local history. Officials thought it could rival the Inauguration Day storm of 1993 or the Hanukkah Eve storm of 2006. 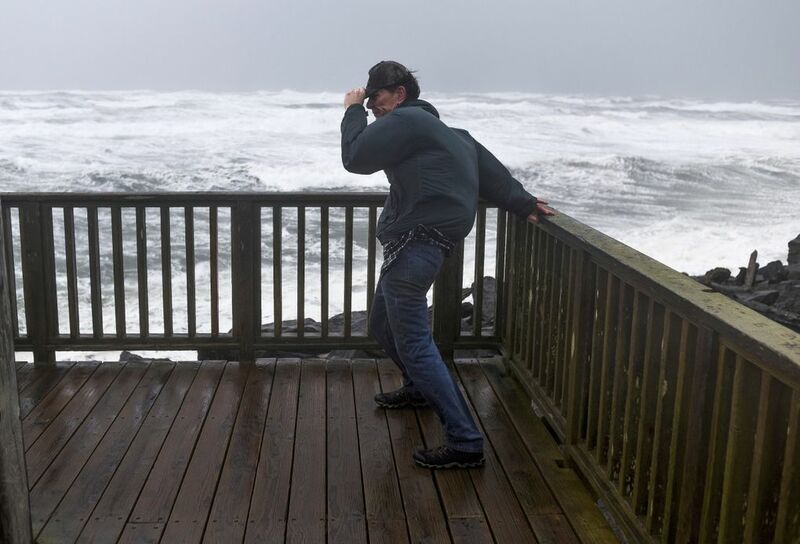 But the center of the storm — the remnant of typhoon Songda, which hitched a rare ride on the North Pacific jet stream — cruised 30 miles or so offshore, its edge barely brushing Neah Bay and La Push as it headed to Canada. By around 8:30 p.m. Saturday, it was crossing Campbell River, B.C., toward the far north end of the Strait of Georgia and nearly 200 miles from Seattle. 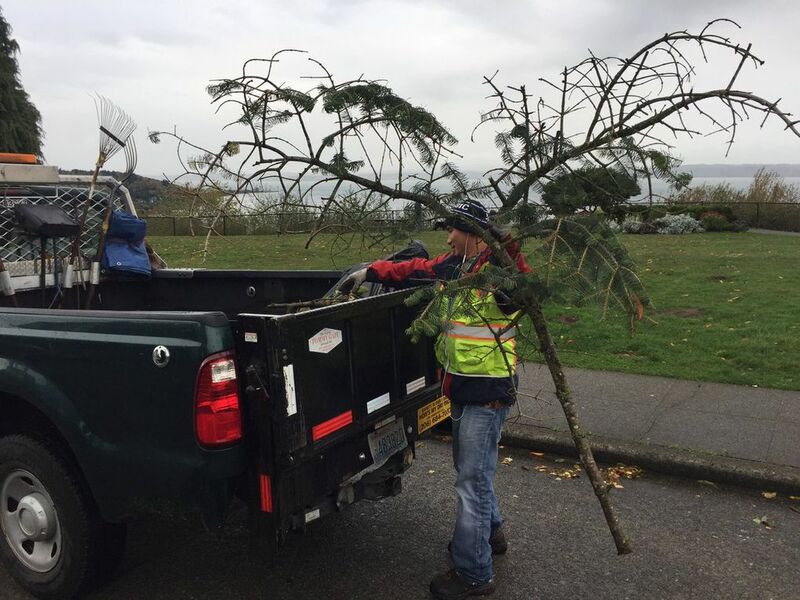 Strong winds were striking the Bellingham area, but the low-pressure storm center was too far away into Canada to create severe winds within the Puget Sound area. 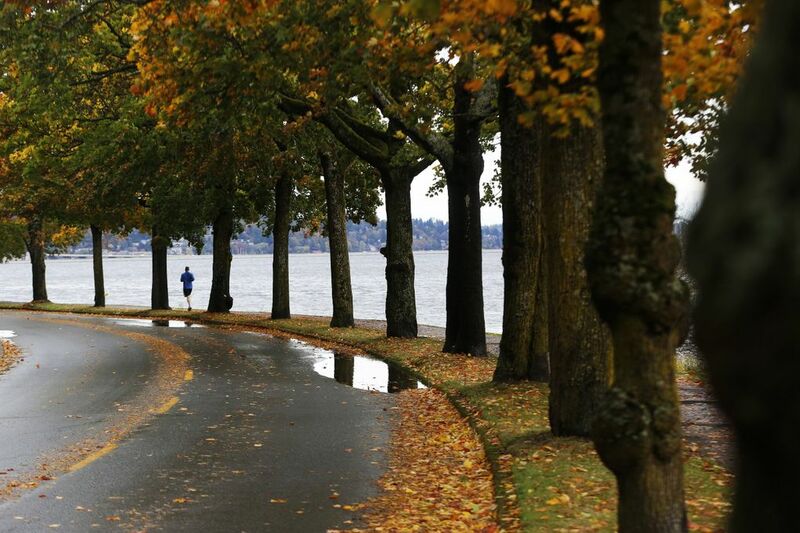 Still, a gale of 53 mph was recorded at the Tacoma Narrows. The actual storm path, some 30 to 40 miles off the coast, fell within a normal forecasting margin of error, McFarland said. 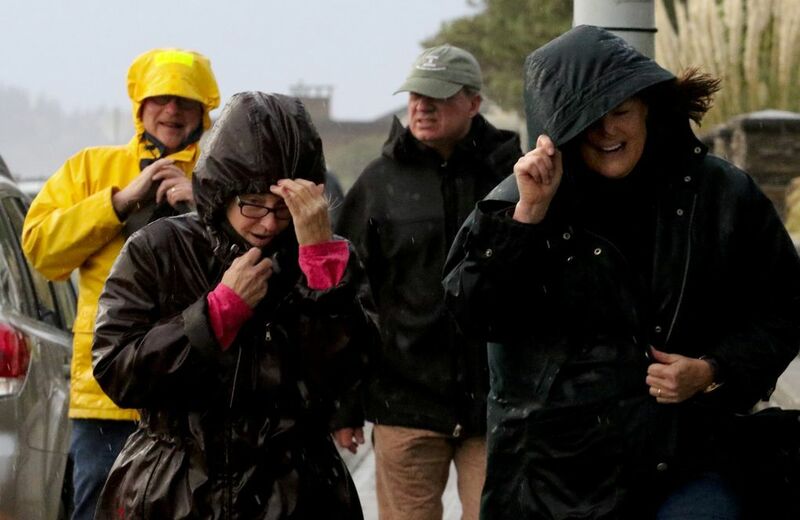 Several residents took to Twitter to blame the weather service and its models for being wrong. Some griped about stocking up on supplies for nothing. 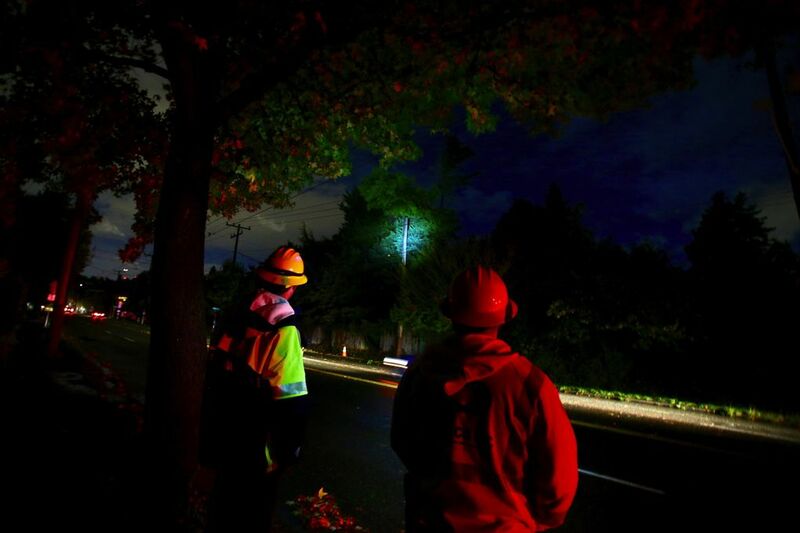 Nonetheless, some trees were toppled and Puget Sound Energy reported 11,310 customers in the dark, Seattle City Light 708 customers without power, and Snohomish County Public Utility District at least 4,000 blacked out across a huge territory as of 9 p.m. — not to mention thousands of others who lost power earlier but were aided by quick-moving line crews. 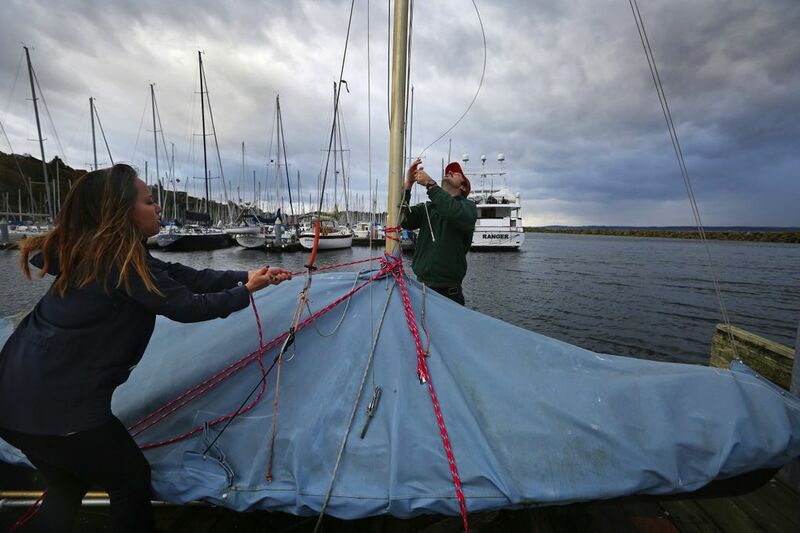 The severe forecast was based on computer models that yielded a startling indication that the storm would reach Puget Sound, McFarland said. 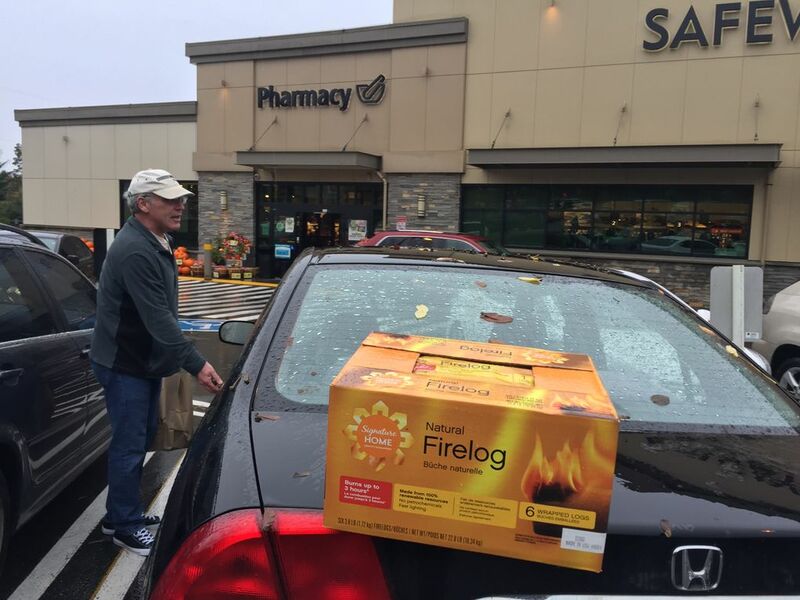 By Friday, he was thinking the odds of major windstorm in Seattle were 50-50, so he bought a propane tank, water and supplies, a rarity in his 29-year career. “This is the most I’ve ever prepared for a storm,” McFarland said. “I’m disappointed, but I’m also delighted that the power’s on, so my daughters can do their homework,” he said. 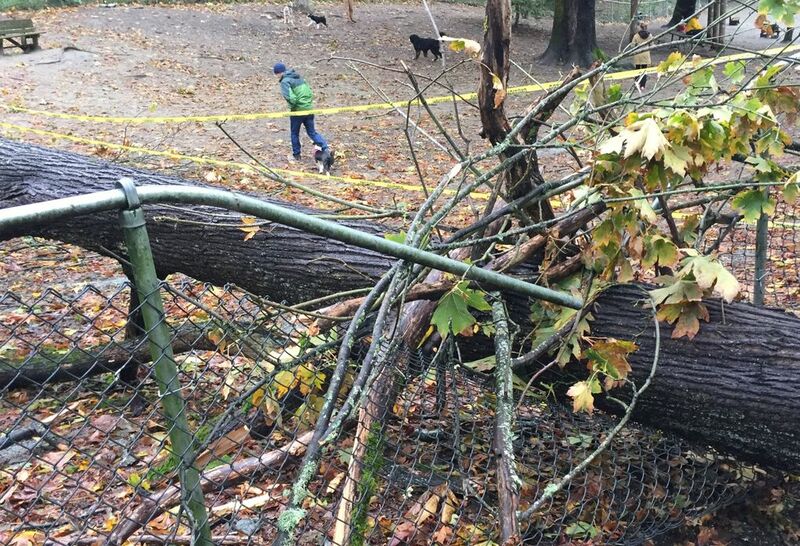 Even in an ordinary storm, the weather service said, downed trees and damage would be serious because of wet leaves weighing down tree branches. 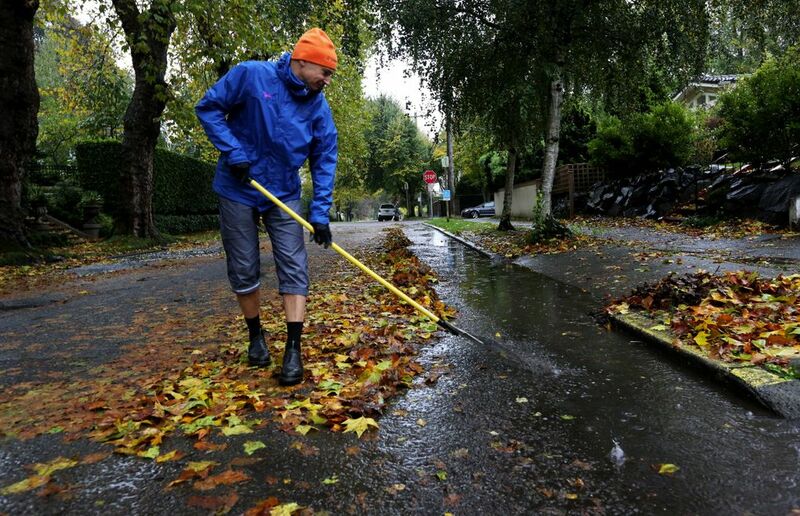 Seattle was forecast to get up to 1.5 inches of rain Saturday after more than 3 inches during the past week. Heavy rainfall Thursday left the ground saturated, so shallow roots detach easily and trees topple. 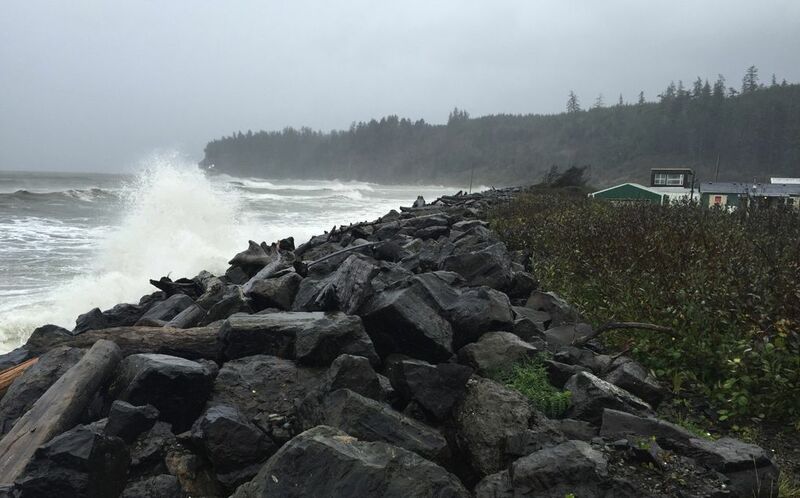 Out on the coast Saturday, a rock seawall that defends the Quinault Indian Nation town of Taholah survived a 1 p.m. high tide and wind gusting to 40 or 50 mph — so the homes of 1,000 village residents living at sea level were saved. Officials worried that when high tide returned late Saturday night, that would bring another threat. 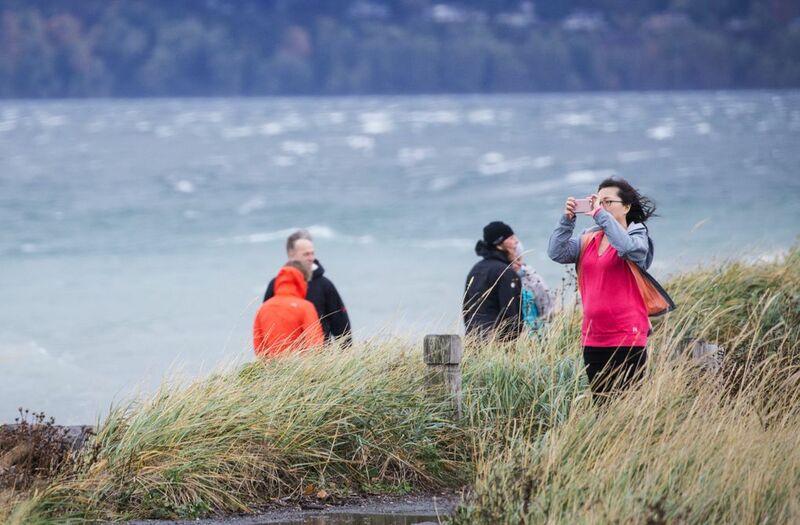 However, an initial forecast of 150 mph winds and 50-foot waves was eased by half, according to Quinault President Fawn Sharp. 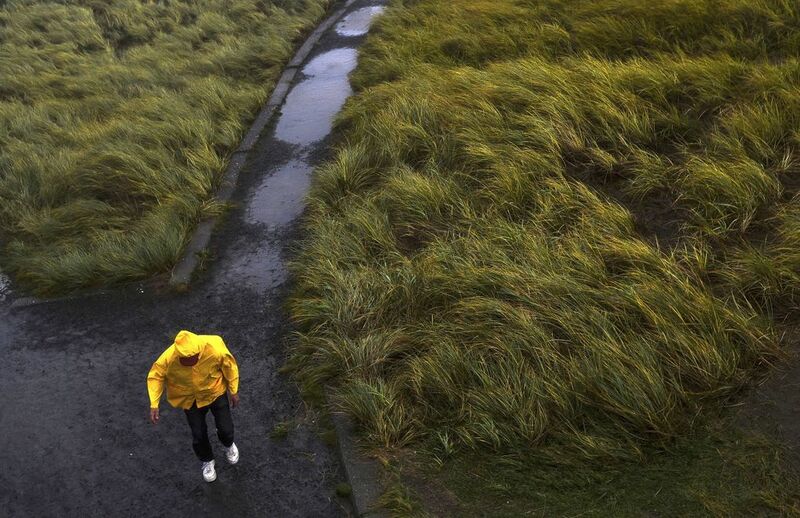 Storm watchers converged at nearby Ocean Shores, where a fiery golden sunset unfolded behind the windblown waves. 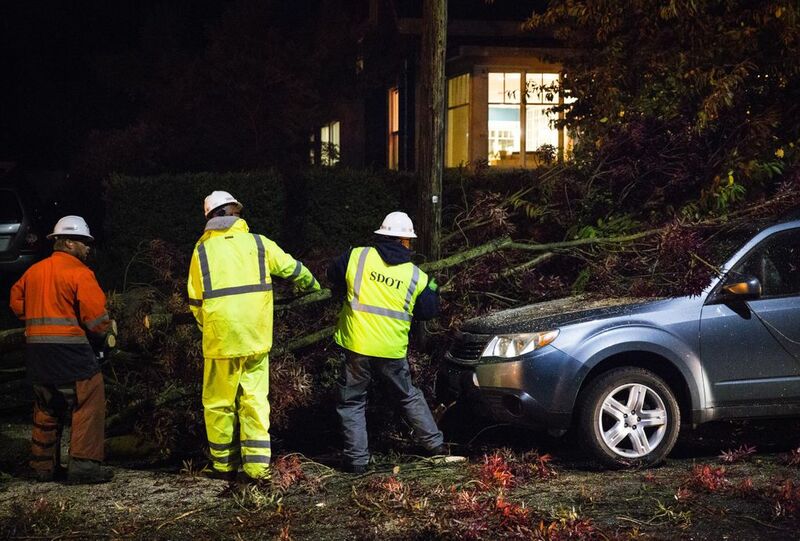 Gusts in Portland reached 50 mph by early evening, following a tornado Friday that damaged buildings in the coastal resort town of Manzanita. 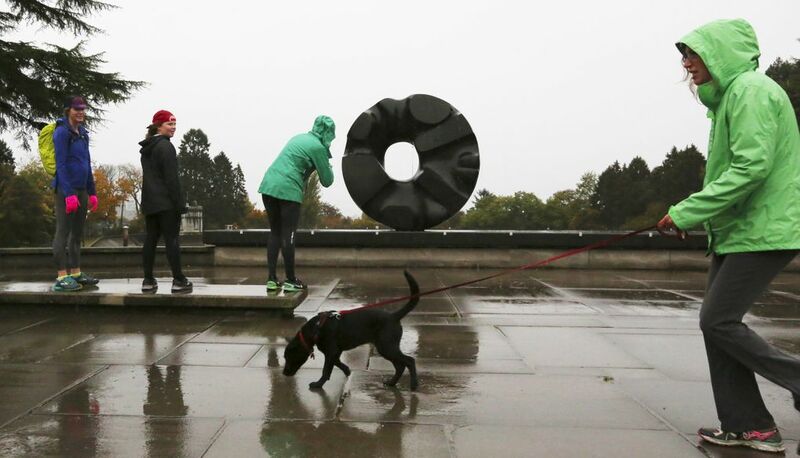 Seattle libraries closed in the early afternoon, and officials in the city and on the Eastside urged residents to stay out of parks. The Comet Tavern on Capitol Hill was slightly busier than normal as the winds picked up around 6 p.m. Bartender Jen Wilson said she thought it might get slower later on. “Everyone is getting their drinking in earlier and then going home,” she said. Standing outside the Unicorn bar on Capitol Hill, security manager Jeremiah Ratledge laughed about the initial storm predictions. 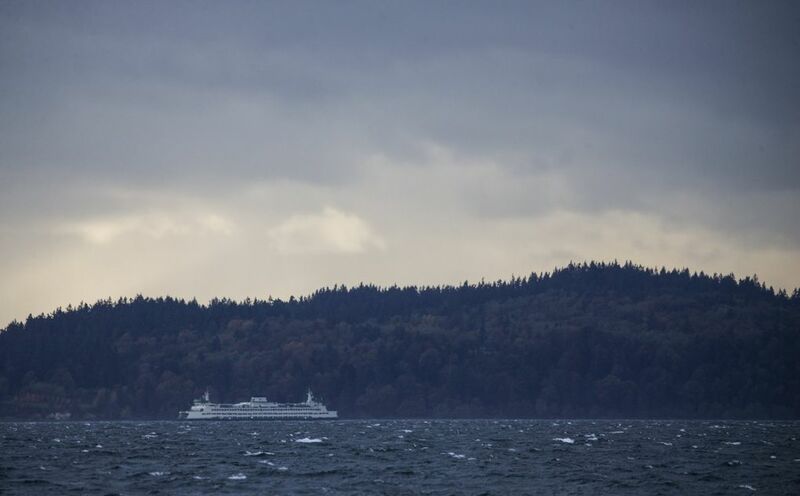 Ferry service was canceled on the Port Townsend-Coupeville route in late afternoon, for the rest of the day. 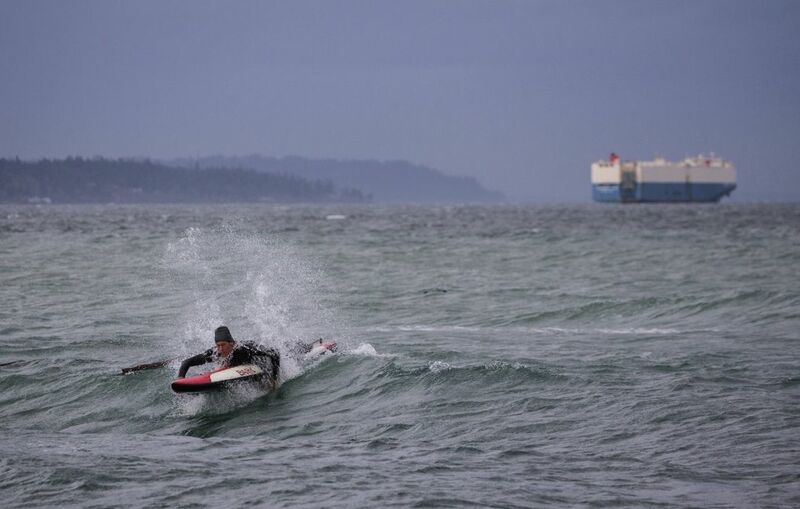 Seattle Mayor Ed Murray said the force was less than expected, but told KING 5, “If you’re out at Alki, stay away from the bulkhead.” In West Seattle, officials were responding to reports of kayakers and paddlesurfers or kitesurfers in the water, while drivers parked along the road to watch the waves. Staff reporter Hal Bernton, Paige Cornwell and Jessica Lee contributed to this report, which included material from The Associated Press.